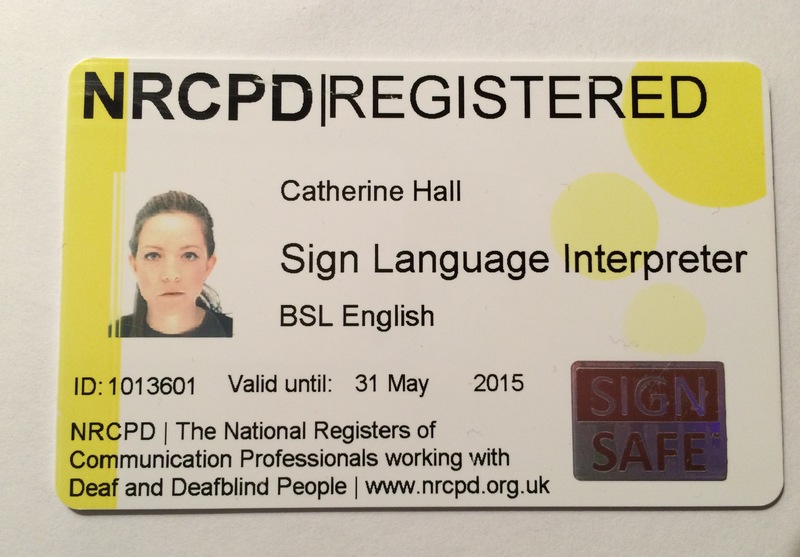 NRCPD regulates communication professionals (like me!) who work with deaf and deafblind people. NRCPD safeguard the wellbeing and interests of people who rely on those professionals. This means that NRCPD have checked that I have been properly trained to do my job safely and competently. Being able to carry an NRCPD photo ID card (see my yellow card and scary photo below) means I have reached their standards of professional practice. The yellow indicates I am fully qualified whereas a blue badge shows trainee status. If you would like to double check that I am registered (and not a cowboy) then please have a look at the NRCPD website (on my ‘Links’ page) and enter my NRCPD number (1013601) on their online register.